Autumn is that time of the year when Himachal witnesses a rich color blast of crimson and golden. The valleys prepare a warm welcome for the approaching winters. Autumn is a much awaited season for adventure lovers as many activities are conducted in this season. As a way to bid summer adieu and make way for winters, many festivals are observed during this season. 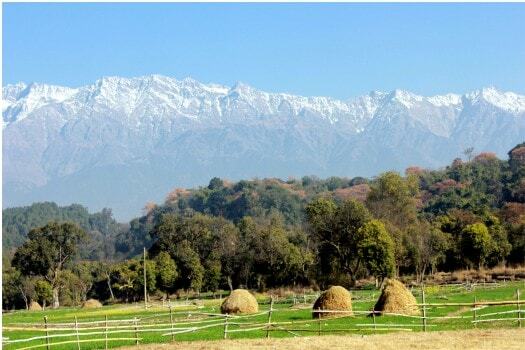 This is a hill station lying on the spur of the Dhauladhar range about 17 kms north- east of Kangra town. This hill station is wooded with oak and conifer trees and snow capped mountains enfold three sides of the town while the valley stretches in front. The snowline is perhaps more easily accessible at Dharamshala than at any other hill resort and it is possible to make a day’s trek to a snow-point after an early morning’s start. 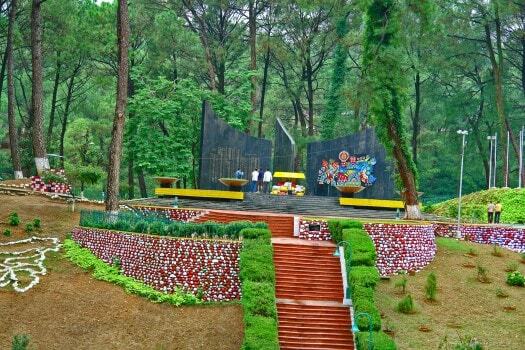 Dharamshala is also the headquarters of the Kangra district. More traditionally, over two hundred deities converge on Kullu for its unusual Dussehra celebrations. They pay homage to Lord Raghunath while music and color fill the ‘Silver Valley’. Numerous stalls offer a variety of local wares. This is also the time when the International Folk Festival is celebrated. Visiting season: September to November for trekking, climbing, sightseeing and river rafting. Lahaul and Spiti are two remote Himalayan Valleys of H.P. lying on the Indo-Tibet border. Strange, exciting, primitive, these valleys are unsurpassed in mountainscape, in the rugged beauty of their rocky escapements and the splendor of their snow-covered peaks. Lahaul is marked by a central mass of uniformly high mountains and massive glaciers. The two rivers, Chandra and Bhaga which rise on either side of the Baralacha La, flow through the narrow Chandra and Bhaga valleys. 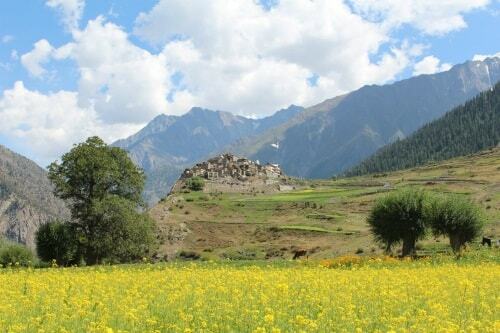 Lahaul is a land of fascinating Buddhist art and culture. The monasteries of Lahaul-Spiti are rich repositories of ancient murals, thankas, wood carving and golden images of Padmasambhava. The valley lies at a height of 2745 meters above sea level. 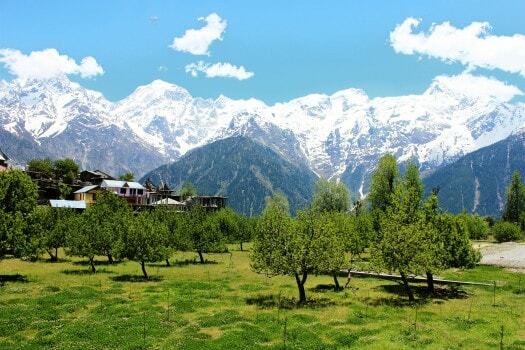 Summer in this valley is cool and pleasant with green grass and alpine flowers. 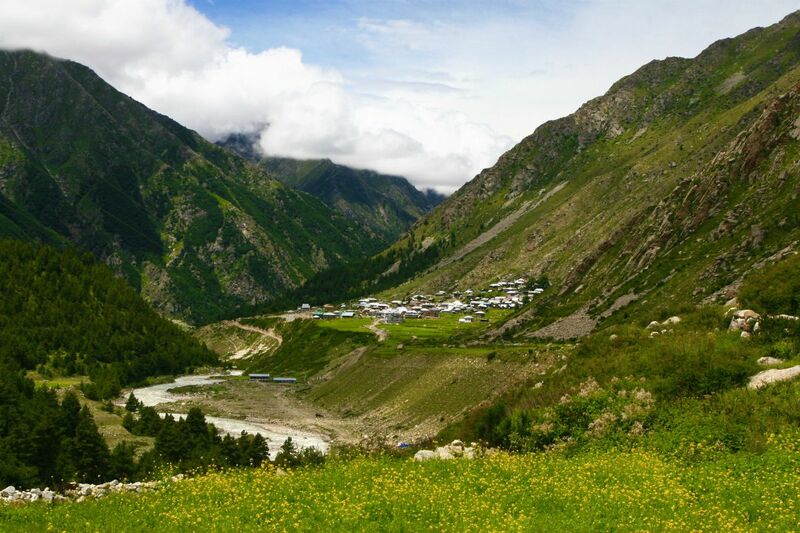 There is little monsoon in both these valleys and this enables climbers & trekkers to enjoy a long and unbroken season in the perpetual sunshine to explore the wilderness and grandeur of the inner Himalaya. This unique feature makes Lahul-Spiti as an ideal destination for tourists and trekkers in the month of July, August, and September. 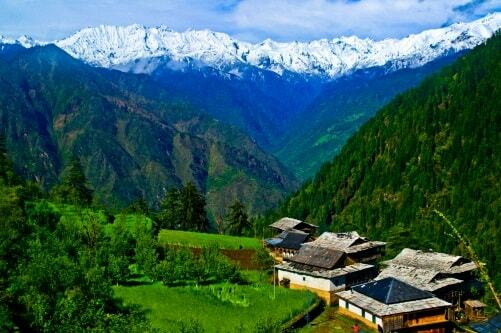 Keylong is 115 km from Manali and is the District Headquarters of Lahul-Spiti District. Visiting season: June to October. In Kinnaur, the festival of flowers, ‘Fullaich’ (Phulech) opens a window to its remarkable people and their Phulech beautiful countryside. Villagers scout the hillsides for flowers which are collected in the village square. These are offered to the local deity and then come a spate of revelry – singing, dancing, and feasting. There is a Regatta on the waters of the Gobind Sagar, anglers vie for the largest catch in the Sangla valley (Kinnaur). Kalpa has some of the most vibrant celebrations and every twelve years, there is a special festival. The Kangra valley celebrates the festival of Sair in the mid-September. At Nurpur, under the watchful walls of its old fort, the Nagini fair bids the summer farewell. The Kharif crops have been harvested when at the legendary Renuka lake (Sirmour), a fair grace its banks. There is a trade, recreation and amusement. Idols of Lord Parshurama and Renuka are ceremoniously dipped in the sacred waters of the lake – and it is a time when matchmaking is done. Water Sports Competitions are held at the Maharana Pratap Sagar and Gobind Sagar.